Ramnagaram came to limelight after being part of the famous movies like Sholay and Passage of India. 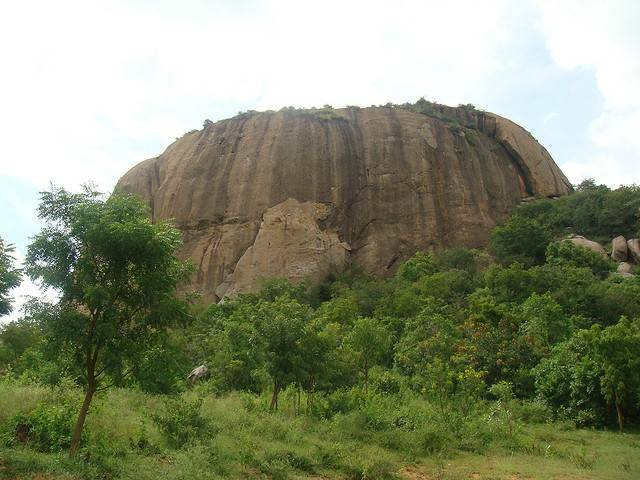 Ramnagaram is a famous Granite outcrop and offers a perfect spot for rock climbing. Other than these hills the other hills that are a trekker’s delight are Revanasideshwara hill, Ramadevarabetta, Thenginkalbetta and Handigundi. Some popular climbs at this place are Wanakkal wall, the Rainbow wall and the Anna-Thamma. Indulge in the boating facility at Rangarayara doddi also. Also a natural habitat of Long-billed and Egyptian Vulture and Yellow-throated bulbul, indulge in spotting of these rare species.